The world’s most advanced and unique family of driving lights has just expanded. J.W. Speaker has just released the latest in the TS3000 family of high intensity LED driving lights – the TS3000R. This brand new, 6” round driving light breaks all the rules with its massive light output, vibration-resistant construction, extremely low power consumption, and 50,000+ hours of life. “The TS3000R provides an amazingly clean, white light. HID doesn’t even compare when you consider the longevity and durability of this new LED lamp. The pencil beam reaches a staggering distance and puts light exactly where you need it.” said Alan Dunn, President & Owner, High Country Performance 4×4. The new light has been constructed into a housing that is as powerful as the light source itself. The solid die- cast aluminium housing incorporates an integrated mounting bracket. This means that the lamp is incredibly stable and won’t suffer from vibration. The housing is available in either black or silver. Like its predecessor, the TS3000R is available in two different beam patterns. The driving beam projects out an impressive 1,600 feet with a generous foreground illumination, while the extremely long pencil beam shoots its focused beam a full 2,600 feet. The technology in the TS3000 family of lights is ground breaking. From the solid state electronics that control the powerful LEDs, to the unique convex lenses and light-controlling outer lens, the TS3000R creates illumination that has no equal. If you would like additional information on the TS3000R LED driving light, please visit J.W. 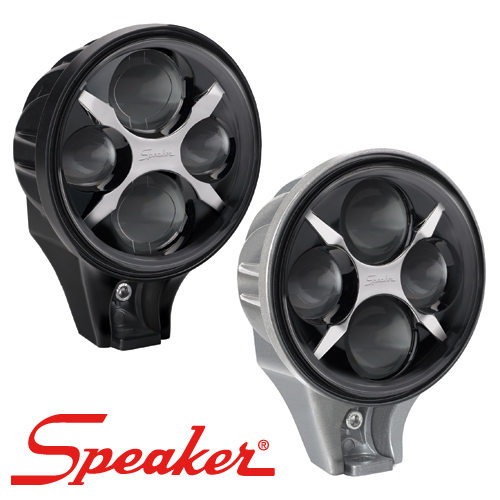 Speaker’s website: http://www.jwspeaker.com/products/headlights/#product=500263. J.W. Speaker Corporation specializes in the design and manufacture of vehicle lighting systems for OEMs and aftermarket applications. For more information, contact J. W. Speaker Corporation at 1-800-558-7288 or speaker@jwspeaker.com.